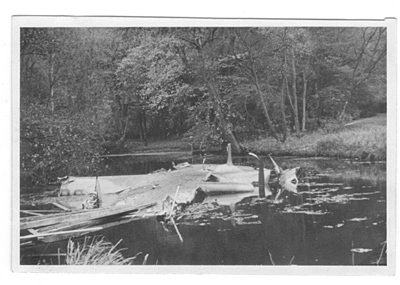 Do 17E crashed at Jonstrup 25/10 1940. 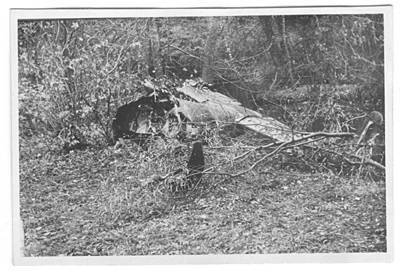 The aircraft belonged to 3./Erg.Zer.Gr. and was coded ? 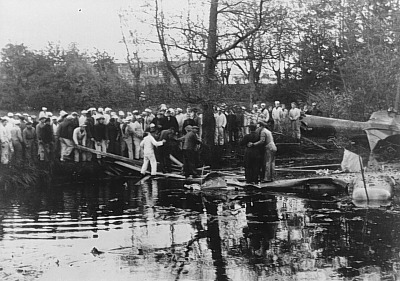 The Do 17 crashed into a small lake in the garden of the villa “Jonstruphøj” after having hit a tree during a attempted emergency landing a little after 09:00 hours. The crew of four all survived. 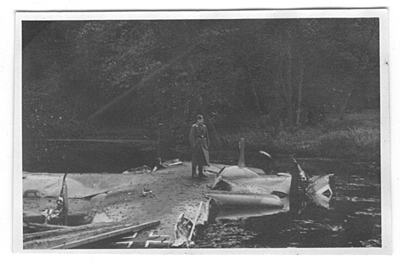 One crew member was thrown clear of the aircraft and landed in the water. He hurried to the front of the aircraft where one crewmember was stuck. He got him out of the Do 17 suffering from scratches in the head and one ear ripped nearly off. A number of Danish workers who were building barracks for the Wehrmacht nearby helped the crew ashore. Sources: Værløse historical archive, Helme, JJ.